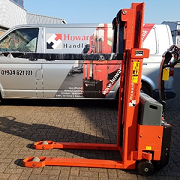 With over 30 years of experience and knowledge, Howard Handling has been working with customers to provide sensible, cost-effective solutions to their material handling needs. 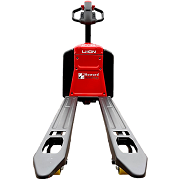 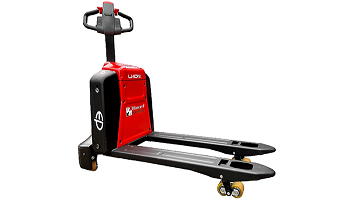 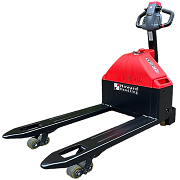 Our comprehensive range of high quality hand pallet trucks, electric pallet trucks, pallet stackers and warehouse handling equipment is available to buy online. 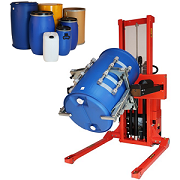 Or for service and repairs to your existing equipment, please contact us. 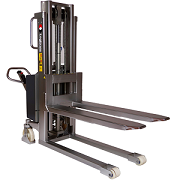 We supply manual handling equipment for printing, warehousing, manufacturing, pharmaceutical, transport, food production and offer bespoke equipment for all industries. 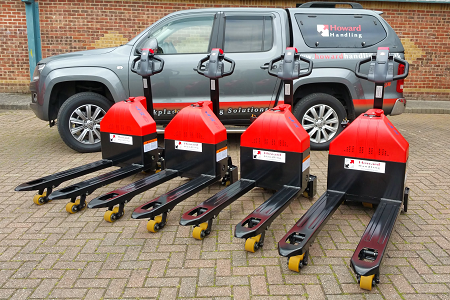 Howard Handling supplies high quality stainless steel pallet trucks & stainless steel stacker trucks for food industry and pharmaceutical applications. 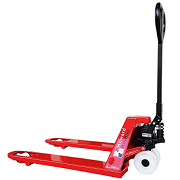 These trucks are highest AISI 316l stainless steel, for strict hygiene and sanitation health & safety requirements. 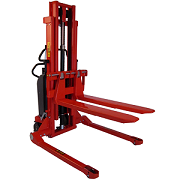 We also supply a specialist range of pallet rotators, crate rotators, pallet tilters, crate tilters and reel lifters, in addition to non-palletised trucks. 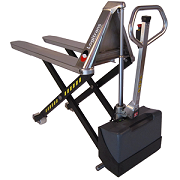 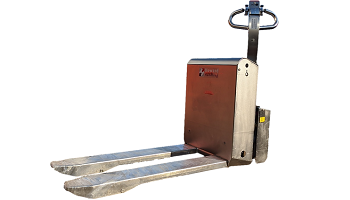 Our customised bespoke lifters and handlers are available in special sizes for non-standard, non-palletised or unusual handling applications. 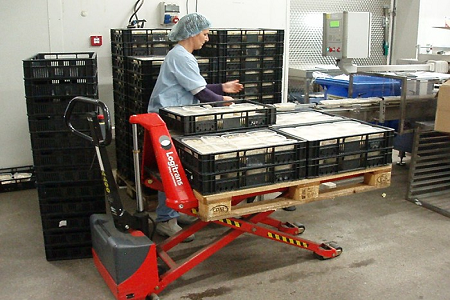 We frequently solve handling problems that other suppliers cannot. 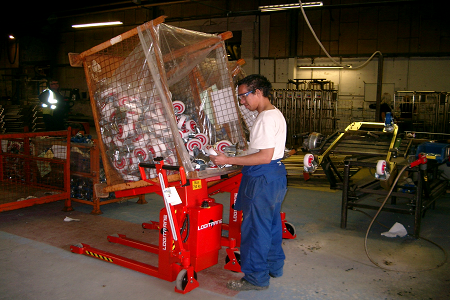 Custom-built products are designed to specific customer requirements. 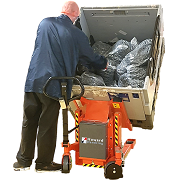 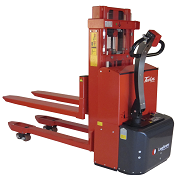 Our materials handling equipment range is designed to allow goods to be handled in the most effective way; resulting in increased operator productivity and a safer work environment. 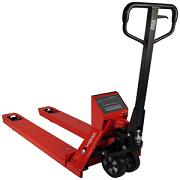 Many pallet trucks are in stock for quick delivery. 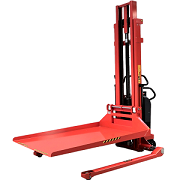 Or feel free to collect from our warehouse in the South West (Weston-s-Mare: between Bristol & Taunton). 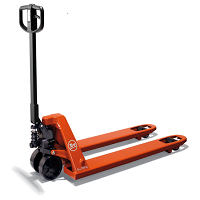 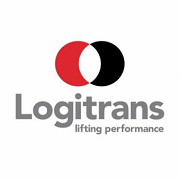 Please feel free to contact us to discuss your handling issue, or if you require service or repairs to your existing fleet of pallet trucks or other manual handling equipment. 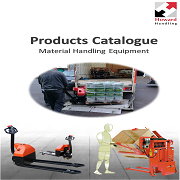 UK wide sales, service and support.